Designed to quickly mount a light effect to a lighting stand and allow the light to be rotated 360 degrees. Max load bearing: 10Kg. Each Supplied with a Mounting Bolt. Quick rigging of lights. Add to Favourites. 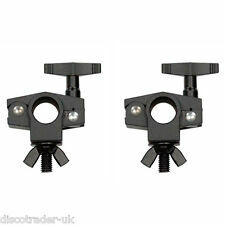 2 x LIGHTING BAR MINI CLAMP. 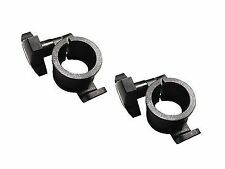 • Supplied with a mounting bolt. • Can be rotated 360°. The Multi Clamp from Rhino by Prolight is designed to quickly mount a lighting effect to a stand or truss and allow the light to be rotated 360 degrees. Can be rotated 360 degrees. Disco Lighting. Quick rigging of lights. 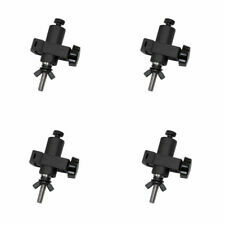 4 x Rhino/Equinox Multi Clamp - Truss & T Bar Lighting Clamp (Bundle Of 4). Each Supplied with a Mounting Bolt. Designed to quickly mount a light effect to a lighting stand and allow the light to be rotated 360 degrees. 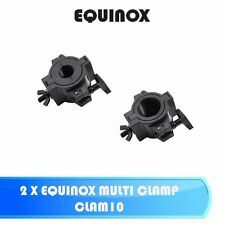 Rhino/Equinox Multi Clamp - Truss & T Bar Lighting Clamp. Each Supplied with a Mounting Bolt. Designed to quickly mount a light effect to a lighting stand and allow the light to be rotated 360 degrees. The Scrim Hanging Clamp allows the top of a tripod scrim to be held easily and securely to the upright pole of most tripod stands. 2 x 35mm Scrim Hanging Clamp. 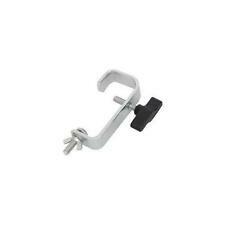 - Clamp hook allows any tripod scrim with a top loop to be attached and removed in seconds. 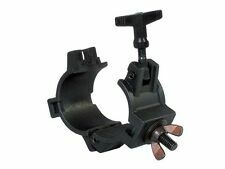 RHINO MULTI LIGHTING CLAMP. Designed to quickly mount a light effect to a lighting stand and allow the light to be rotated 360 degrees. Rhino LCD karaoke mount for mic stand. Maximum screen: 24" (Dependant of mic stand base). Maximum load: 5kg (Dependant on stand). Add to Favourites. The quick way to hang your lights. Simply attach the spigot to your light and the clamp stays permanently attached to your T-bar. Universal lighting clamp. Active Speakers. DMX Lighting. Other Stands. Designed to quickly mount a light effect to a 2" (52mmØ) truss and allow the light to be rotated 360°. The clamp features a narrow body for use within the "V" of truss diagonals. However our product range doesn’t end there! 8x 20 kg 750mm Safety Bond Wire. 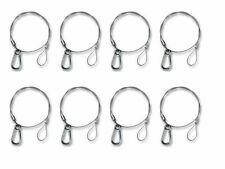 Safety cable complete with shackle for added security when lights are mounted on lighting stands and rigs. Max load: 20 kg. Add to Favourites. Load 20kg SPECIFICATIONS Light fixing: M10 Wing bolt: M10 £13.99. Pro Audio & Lighting. Stand & Cases. DFB Sound & Light Warehouse Limited. Steel construction. UKDJ - DFB Sound & Light Warehouse Limited. The clamp features a narrow body for use within the V of truss diagonals. Rack Cases. Each supplied with a mounting bolt. Quick rigging of lights. DMX Lighting. Other Stands. Microphone Stands. Lighting Stands. DMX Lighting. Other Stands. Microphone Stands. Lighting Stands. Speaker Stands. Stand Accessories. Special Effects. Haze Machines. Disco Lighting. Lycra kit includes: 1 x white lycra cover & 1 x frontal support bar. Designed to fit most 4 foot (122cm) deck stands system to hide all your wiring and add a professional image to your set-up. Supplied with wing nut fixings and a T-bar. Supplied with wing nut fixings and a T-bar. With such a wide-range of products, VisioSound can cater for budgets both small and large, whilst never compromising on quality. New Rhino STAN12A Rhino 4ft Pro Twin Bar Mobile DJ Disco Stand STAN 12A. 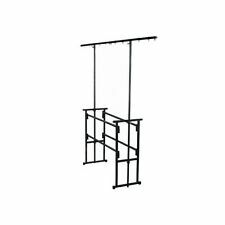 The overhead bars carry a maximum weight of 60kg evenly distributed. Max load T Bar: 60kg. Height adjustable pre-drilled lighting bar. Max load main stand : 50kg. Supplied with zipped fabric carry bag. Maximum footprint: 1032mm. Height: 1050 - 3045mm. T-bar length: 1400mm. Disco Lighting. 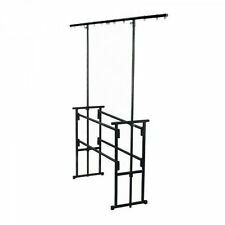 The overhead bars carry a maximum weight of 60kg evenly distributed. Rack Cases. Max load T Bar: 60kgs. Max load main stand : 50kgs. Height adjustable pre-drilled lighting bar. T Bar Height: 2100 - 2450mm. Rack Cases. 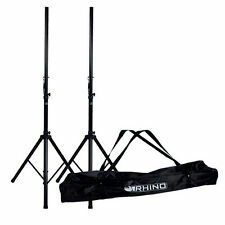 This Rhino heavy duty 3 section light stand has a long extension height, yet folds down to a compact and portable size. Each extendable section is fitted with a spring damper. Protection pieces are added to stop the knobs being over tightened and damaging the stand. Simply attach the spigot to your light and the clamp stays permanently attached to your T-bar. The quick way to hang your lights. Max load 10kg. The Scrim Hanging Clamp allows the top of a tripod scrim to be held easily and securely to the upright pole of most tripod stands. 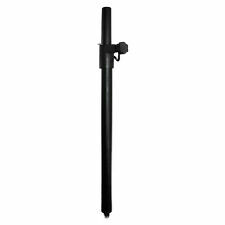 - Attaches and removes from a tripod upright pole in seconds. 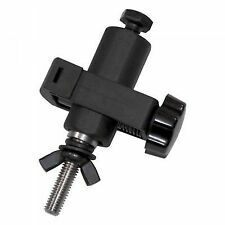 - Clamp hook allows any tripod scrim with a top loop to be attached and removed in seconds. RHINO STAN12E. Rhino STAN12D. Designed to fit most 4 foot (122cm) deck stands system to hide all your wiring and add a professional image to your set-up. The stretch lycra scrim kit is supplied complete with frontal support bar. Max load: 50kg. Shelf height: 570mm & 890mm. The quick way to hang your lights. Simply attach the spigot to your light and the clamp stays permanently attached to your T-bar. 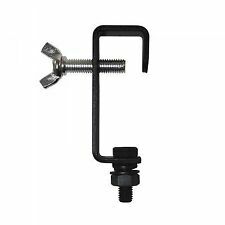 Universal lighting clamp. Quick way to hang your lights. Lighting & Effects. 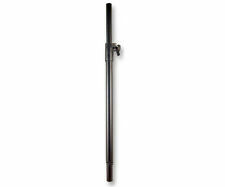 RHSAMS008T - J25549 Rhino (Cases) Lighting Stand With T-Bar. Weight: 3.2kg. Adjustable height with locking pin. Lightweight stand. 1500mm T-Bar with 6x fixture points. During that process you will be issued with an RMA number. New Rhino Three Section Heavy Duty STAN24 T-Bar Lighting Stand STAN 24. Designed to quickly mount a light effect to a lighting stand and allow the light to be rotated 360 degrees. Max load bearing: 10Kg. Each Supplied with a Mounting Bolt. Add to Favourites. Can be rotated 360 degrees. Rhino 6ft 1.7m Deck Stand Shelf. Carpet covered deck board for the Rhino 6’ Pro Disco Stand. Deck Stand is not included. Rack Cases. Maximum footprint: 1032mm. DMX Lighting. Disco Lighting. Laser Lighting. load: 40kg. Lighting Stands. Stand Accessories. 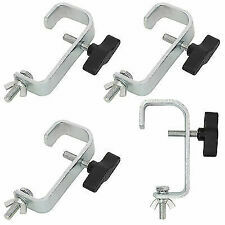 4 pcs Rhino/Equinox Quick Clamp - Truss & T Bar Lighting Clamp (bundle of 4). The quick way to hang your lights. Simply attach the spigot to your light and the clamp stays permanently attached to your T-bar. Rhino STAN12E 4" Pro Metal Black Mobile Disco DJ Booth Equipment Stand. Disco Lighting. Rack Cases. Max load: 50kg. Shelf height: 570mm & 890mm. Stand Accessories. Other Stands. Microphone Stands. Lighting Stands. 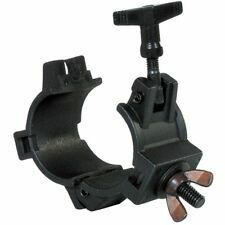 Folding tripod base with rubber feet. PROJECTOR/LAPTOP STAND. Laptop/Projector adjustable steel stand. Weight: 4.50kg. Kit includes: 2 x speaker stands and a nylon carry bag. load: 40kg. Max load: 25kg. Supplied with wing nut fixings and a T-bar. Steel construction. T-bar length: 1005mm. Black finish. Weight: 4.5kg. 4 x Rhino Stan34. This budget microphone floor stand with boom arm that can be adjusted for height, angle and extension. Features tripod style fold away legs and is stable when in use. Boom arm length: 570mm. Rhino STAN01 Lightweight Durable Black Tripod PA Speaker Stand. Very Heavy Duty! All Metal Stand! Strong & Sturdy! Maximum load: 40kg. 35mm Steel speaker stand. Black powder coated. During that process you will be issued with an RMA number. 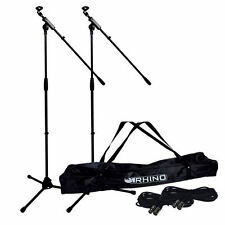 Microphone stand kit complete with two microphone holders, two 6m XLR-XLR cables and carry bag. Boom arm length: 560mm. & nylon carry bag.